Bee Wooden Ware: three sizes of supers – assembled & painted, all hand-crafted in our shop. Assembled frames with wax. The following in-state suppliers offer queens, packages, and “nucs”. Nuc purchases usually require deposit on the nuc box, which is refundable upon return. Bees will be State Inspected. 3 lb packages with marked Russian Hybrid queens, available in late April. 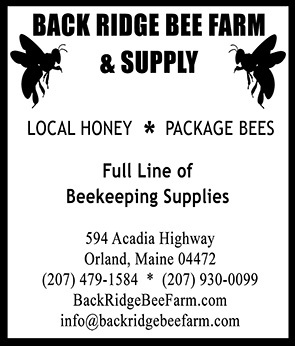 The MSBA is grateful to all local business people who provide products and services to the state beekeeping community. We do not endorse products or suppliers. If you would like to be added to this list contact us. Member listings are free.